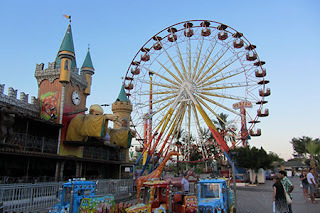 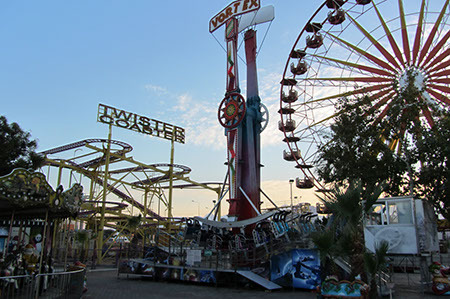 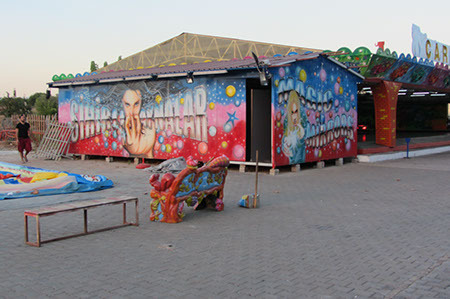 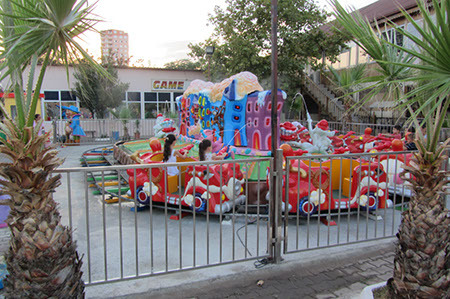 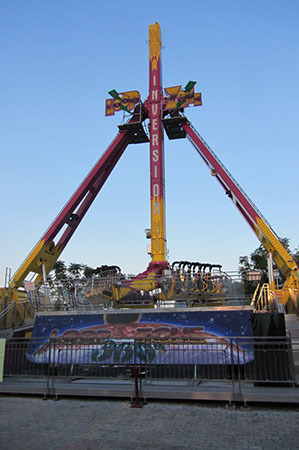 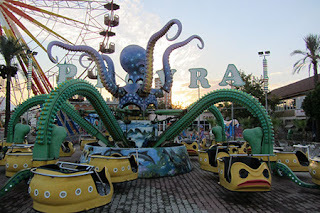 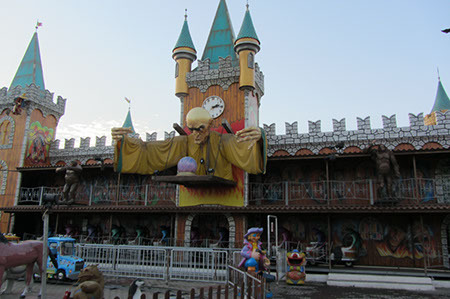 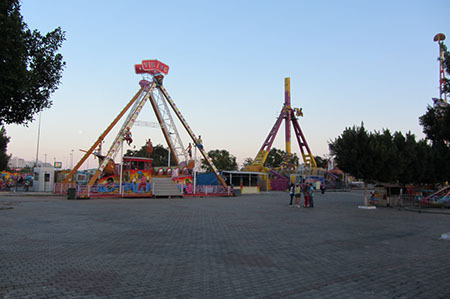 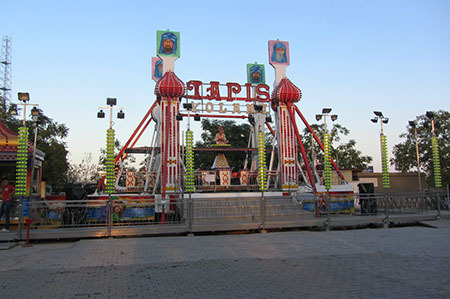 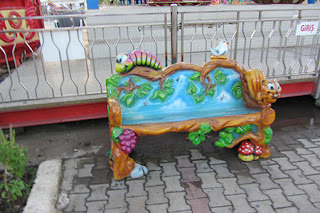 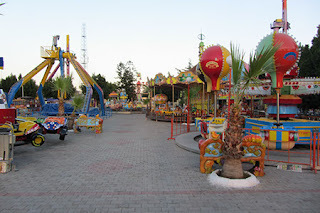 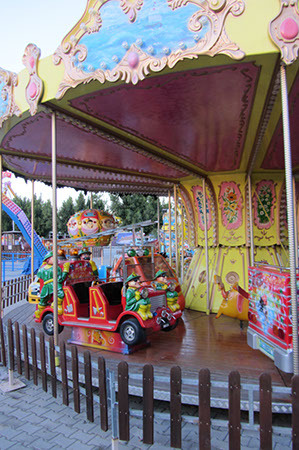 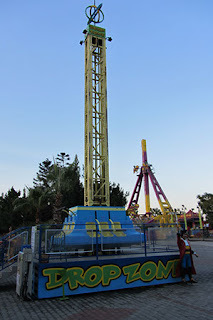 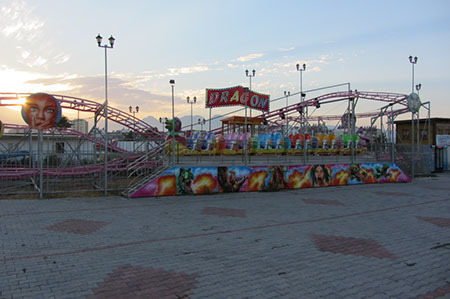 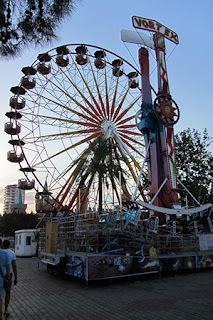 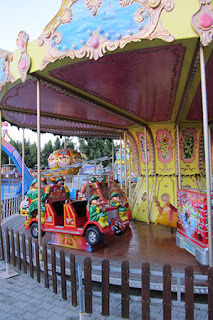 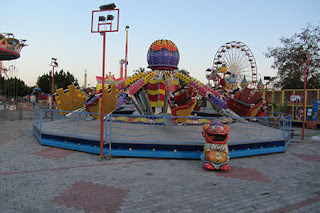 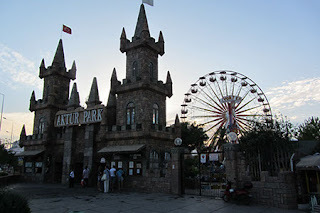 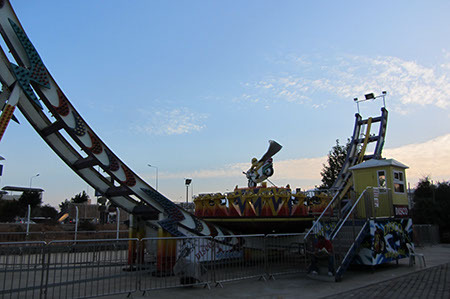 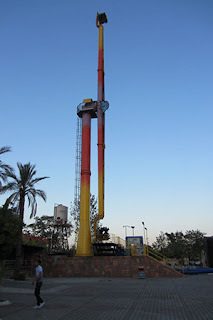 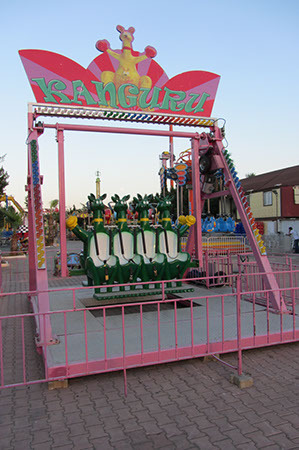 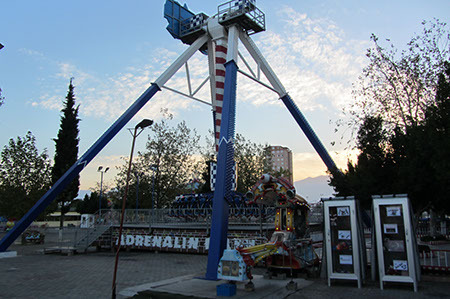 Antalya does have an amusement park that isn't locked within the confines of a hotel and it's located in the west of the city. 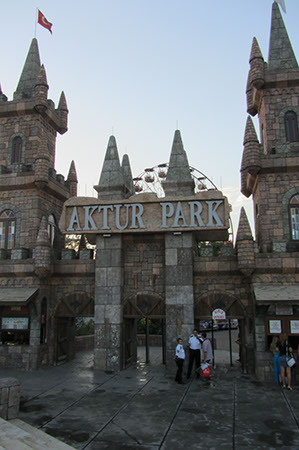 Aktur Park was actually quite a large park housing a decent selection of the usual spinning and swinging rides. 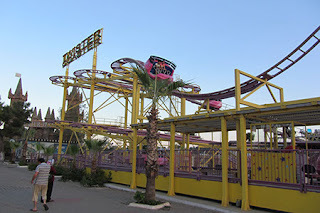 For the rollercoaster enthusiast there are two. 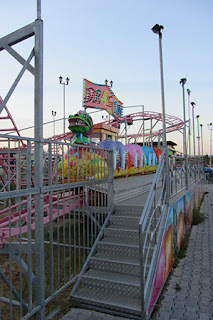 A large spinning Fabbri mouse and a small caterpillar track with a dragon car and name. 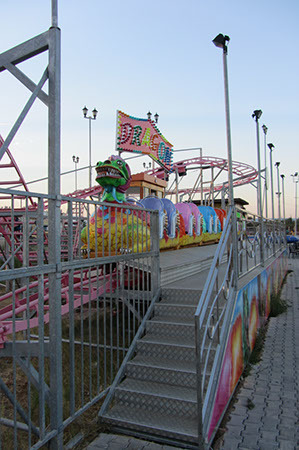 This mouse gave me the best ride of the four I'd done spinning very well through the second section and receiving a round of applause from some Russians who were watching from the sidelines. The other coaster whilst looking quite nice didn't offer such an enjoyable ride. Entry to this park is free but as with Viapark you're encouraged to buy tokens before entering and the guards were making random checks that people entering the park were doing so to ride. Whilst I didn't get checked for my tokens, the group in front were. Liking the belly popping out. 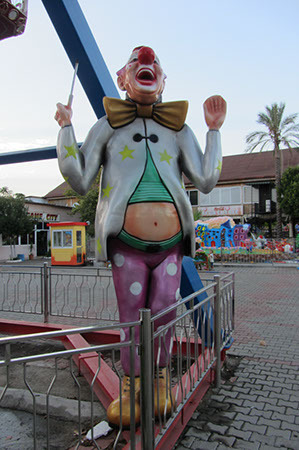 Made me want to do the same thing but Turkey wasn't ready for an eclipse. 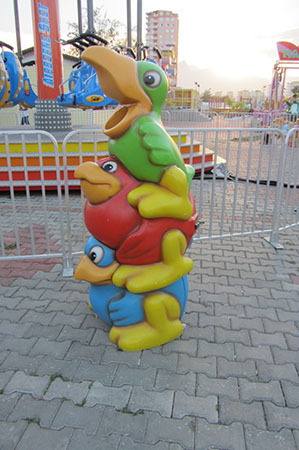 These birds don't look so angry.